A father received a kidney donation from his daughter for Father's Day. This Father's Day, a daughter is giving her dad a priceless gift -- a second chance at life. 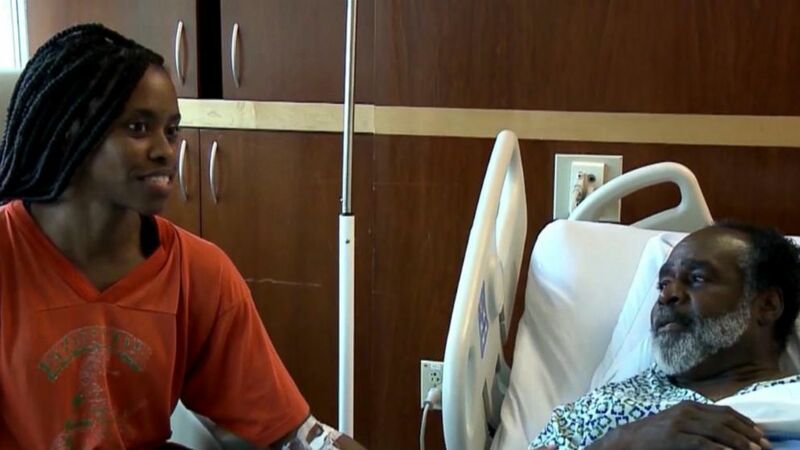 Florida high school music teacher Ronald Corbin had been on a waiting list for a kidney transplant for three years when his daughter, Candice Corbin, contacted him with good news, according to ABC Palm Beach station WPBF. After she grew tired of her father's waiting, she decided to take a test to see whether she could be a donor. (WPBF) Ronald Corbin's daughter, Candice, donated a kidney to her father for Father's Day. "I didn't know she was getting tested," Ronald told WPBF. "She lives in New York, and she got tested up there, and one day she called me and said, 'Daddy I'm a match.'" At the end of May, at Cleveland Clinic Florida in Weston, Candice donated a kidney to her father, who had been on dialysis since 2015. Ronald said he never would have asked or expected his daughter to donate a kidney. "Wow, it's amazing -- it was beyond me to realize she would do this for me, but she's a great kid and I really love her," he said. Both father and daughter are doing well after the surgery, WPBF reported. Ronald said he's recovering quickly, and Candice is back singing in New York. "I'm just blessed to have you in my life," he told her. "Thank you and I love you."